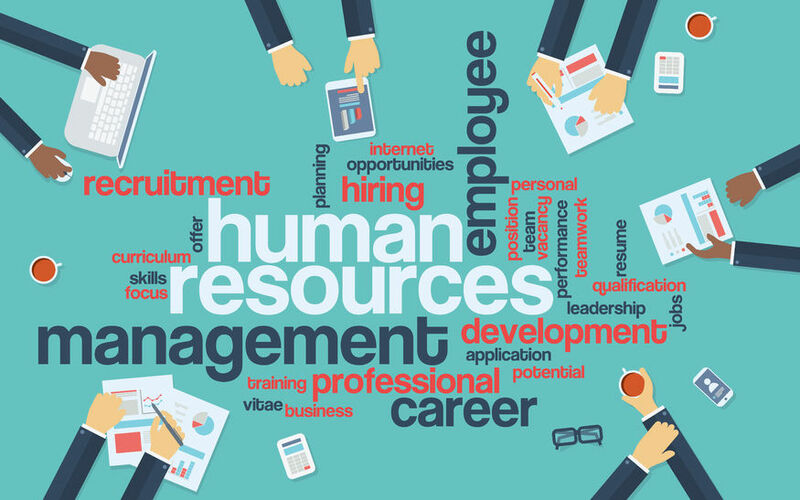 The Human resource team are members of staff that oversee various aspects of employment such as compliance with labour law and employment standards, they also perform administration duties. They look after employee benefits and handle some aspects of recruiting new staff and dismissal of existing staff. HR courses and HR training are often provided by companies to ensure that their HR staff are up to date on all HR Laws. Manage relations, paying attention to the unions and their demands. Ensure that employees feel safe at work and ensure that everyone gets equal opportunities. Deal with performance issues and ensure that all records are kept on file. Determine when there is a need to use temporary staff to make up a short fall of staff. Recruit and train the best staff members to ensure the company is at its best. It is imperative that the HR Manager is able to multitask and be able to answer many different questions. They are able to deal with personal issues of the employees, recruitment tasks for tough positions and payroll issues all at the same time. The position is fast paced with priority management at heart. Communication skills are important as HR staff need to express themselves in a clear manner verbally and in writing. The team will need to produce policy handbooks, create memos and post information. The ability to listen with empathy is an excellent communication skill. There are human resources courses that help you to handle a number of issues on the job. Organisation is key to being successful at Human Resources, you must have strong time management and be personally efficient in order to succeed. This means that the office is in order to ensure that everyone has access to documents that are required. HR staff are required to be good at negotiation, when companies are offering employment to potential staff they need to know that they will get the best deal. A strong HR professional will be able to work with both sides to get an agreement that benefits everyone. HR staff need to be ethical and discrete, as they are keepers of confidential information. The HR department deals with top level of management and must follow the regulations. HR management need to demonstrate fairness towards all employees. There should be clear communication, the voices of people must be heard and ensure all policies are followed. The team must make sure that respect and privacy is also maintained. Team orientation knowledge should be understood by the HR team to maintain team dynamics and bring different individuals together to develop the team. The HR team should possess dual focus to address the concerns of the employee as well as maintaining the management policies. The person that can balance this is able to win others concerns. Lacking the skills for HR? Why not contact us for more information on our human resources courses.